Wise-Cracking Bot 1 and Bot 2 met in the factory, and due to some inconsistencies in their positronic pathways, they started cleaning the assembly lines as they were going down the line being put together. They were instantly given jobs as factory cleaners. Most of the time they do great work, but every once in awhile they decide to mess everything up just for fun. These two robots are a parody and an homage of the Dr Seuss characters Thing 1 and Thing 2. Featured in “Art Without Borders 2” at Art Whino Gallery in Washington, DC. The show benefits the Doctors Without Borders organization. 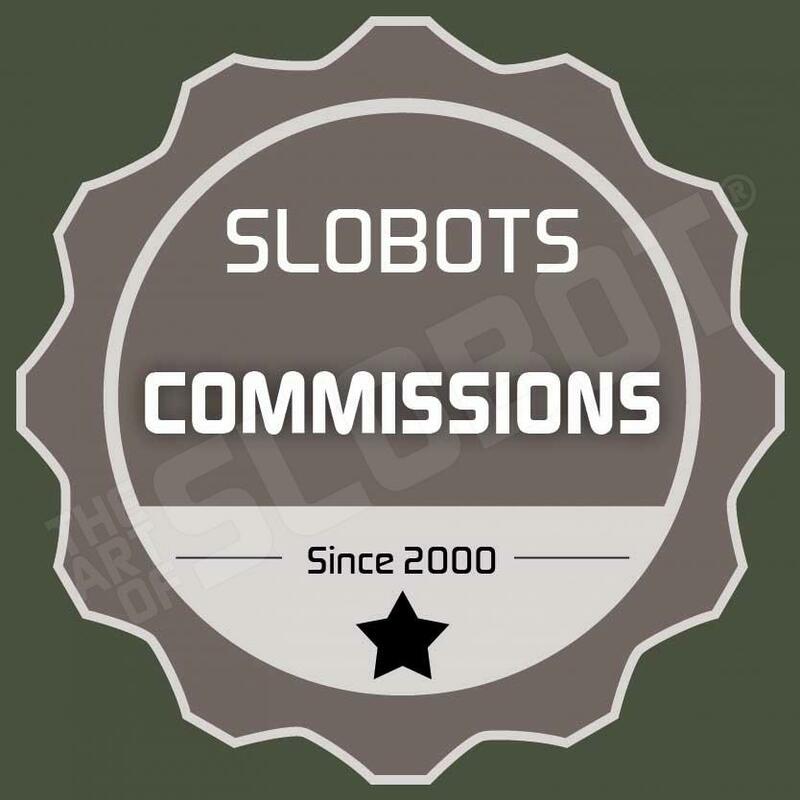 Set of Two Slobots. Each robot is about 4″ Tall, Glow in the Dark “eye” and “wiring”.